Product #20872 | SKU DCB302 | 0.0 (no ratings yet) Thanks for your rating! 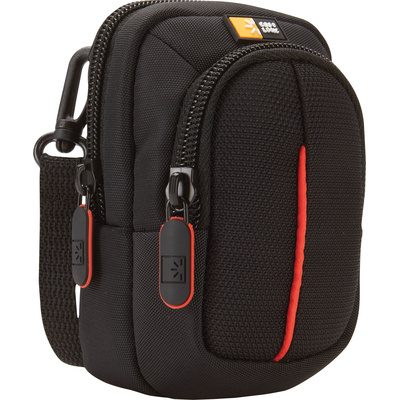 The black DCB-302 Compact Camera Case with Storage from Case Logic is designed to carry compact point-and-shoot digital cameras. The case is made from nylon with a simple design aesthetic accented with vibrant colour detailing. It has a zippered storage pocket that holds batteries, memory cards, and small accessories. The case can be carried by the included detachable, adjustable shoulder strap or belt loop.